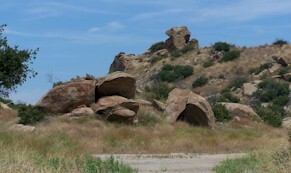 Corriganville Park, at the eastern end of Simi Valley, is a combination of beautiful rock formations comprised of prominent sand stone outcroppings and shaded oak grove covered paths. This is a relatively easy hike lasting approximately 2 hours long. Well marked paths, some hills. Picnic area and facilities available. 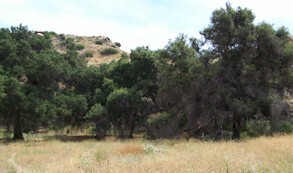 From Highway 118 in Simi Valley, exit Kuehner Drive. Drive 1.1 miles south to Smith Road and turn left. 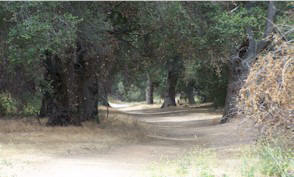 Continue .4 miles into Corriganville Park.